My daughter will be turning ten years old over the summer season. Ten years old means she is an official tween and loves doing what the most tween girls do - painting her nails. I have always had a love for doing my nails too. It's uplifting and I can get creative with nail polish and all kinds of neat nail art accessories. My daughter took an interest as well from a young age, more so as she is getting older. I am careful when it comes to what kind of nail polish I allow her to wear. It's not so much the polish itself but the removal of it. 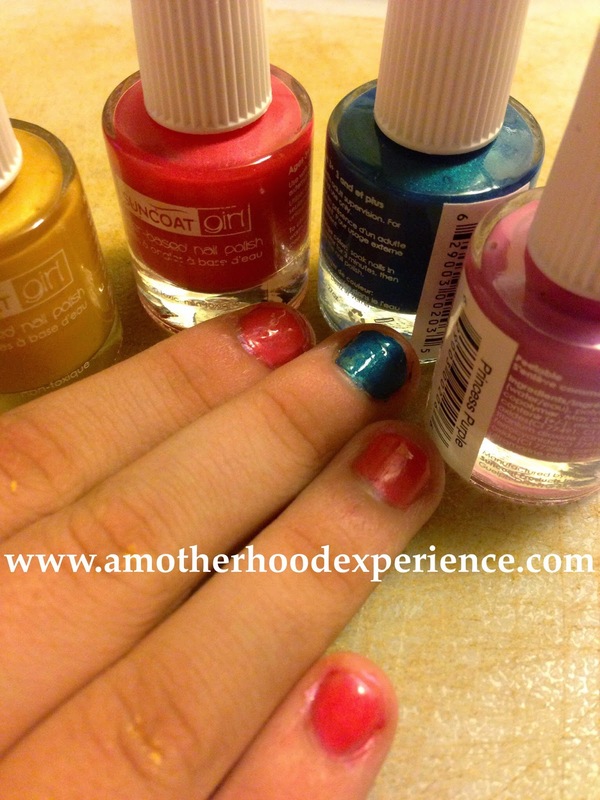 You need nail polish remover or sometimes acetone depending what type of nail polish. I prefer kid friendly type polishes for her. 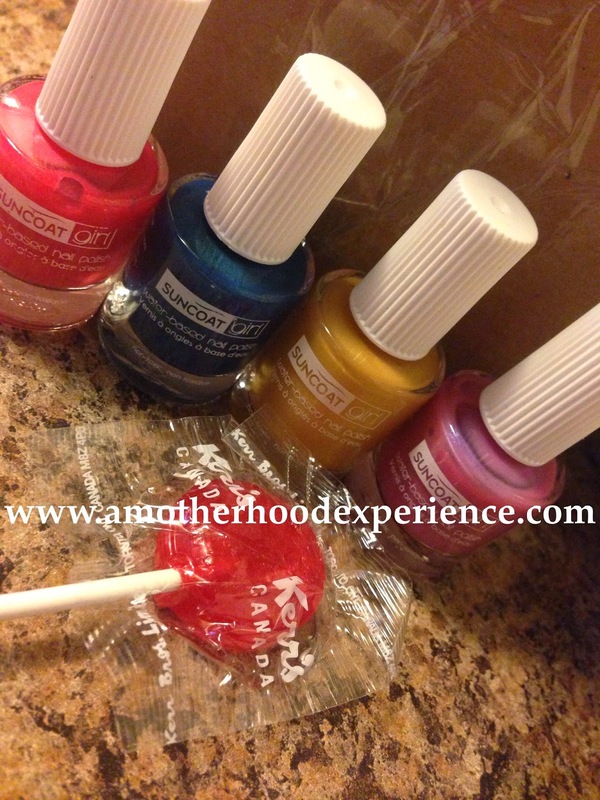 Recently we were introduced to Suncoat Girl, nail polish created especially for kids. Suncoat Girl offers safe nail polish for young girls. These polishes are water-based and environmentally friendly. Suncoat Girl polish won't dry out or damage nails, are virtually odour-free and non-flammable. For kids aged 3 years and older, Suncoat Girl polish lasts a few days and simply peels off. No need for nail polish remover. My daughter began her nail polish collection with other kid-safe nail polish and now she has Suncoat Girl colours to add to her collection for the summer! They have a wide variety of colours and we were sent four different ones to try out for ourselves - Mermaid blue, Princess purple, Sunflower and Forever fuchsia. Unlike traditional nail polish, kid-safe nail polish always tends to be a little runny but with two coats you can create pretty, colourful nails. It takes about as long as any other polish to dry, about ten minutes. What I like about this nail polish besides the fact that its kid-friendly is that its washable! My daughter went to shake the bottle of Sunflower forgetting she had unscrewed the cap and it flew all over the counter. It was an easy clean up with a warm, soapy wash cloth. I can trust she can do her own nails without staining anything and she likes having her very own Suncoat Girl polish! Posted on behalf of Nail Polish Canada. Sample product was received for review purposes. Opinions and comments on this blog are those of the author.